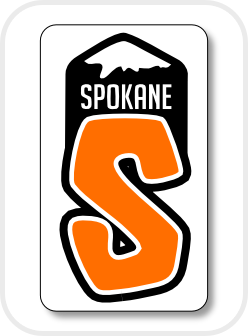 ﻿ SpokaneStickers.com :: Order Online, Custom Die-Cut Decals Stickers & Custom Vinyl Lettering. 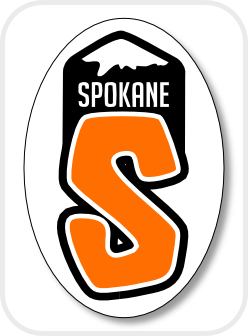 © 2004-2019 SpokaneStickers.com, All Rights reserved. * UV Resistance based upon Ink manufacturer and laminate manufacturer testing, in no way does this imply warranty from product manufacturers nor from SpokaneStickers.com or its parent company. UV resistance ratings based upon average life span of products in average climates and conditions. Warranty cannot not attribute unknown end-user factors and or negligence. Spokane Stickers is the best source for custom outdoor die-cut decal stickers with unlimited colors, and vinyl lettering online. 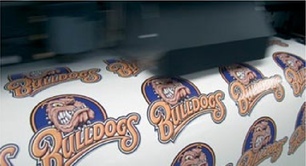 All of our products are Made in Spokane Washington with Quality UV Waterproof Printing. 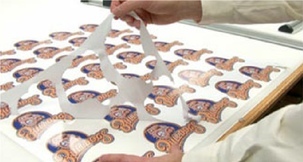 Get quality made, custom die-cut vinyl stickers made to your exact specifications. We print only on outdoor UV self adhesive vinyl with eco-solvent inks to last for years and put quality on your side! 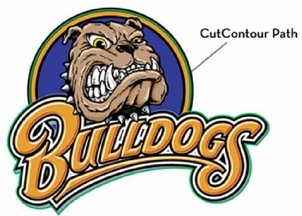 Custom made die-cut vinyl lettering in any size in any font style and any custom cut graphics or vinyl logo designs. 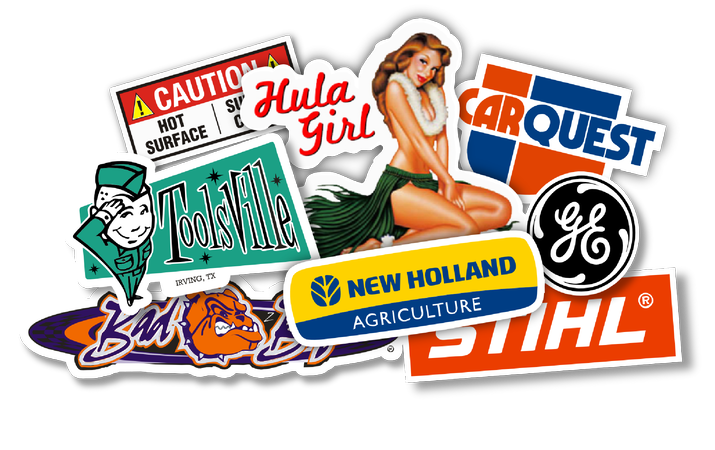 Custom makes long lasting waterproof self adhesive vinyl stickers, product labels in unlimited colors & styles. All of our Decal Stickers and Vinyl Lettering have an Outdoor UV Rating from 3 years to 7 years! 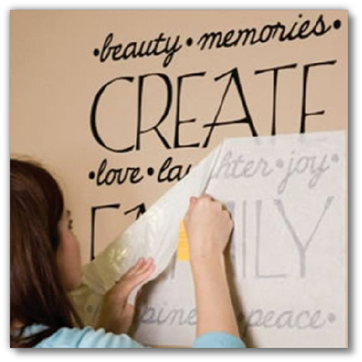 Get Creative with vinyl wall lettering for interior decorating project. 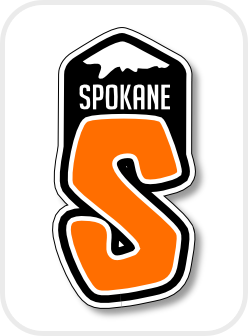 SpokaneStickers.com is the best online source for custom decals, die-cut stickers, and vinyl lettering. Just choose what size and quantity you want, send us your artwork, and we’ll make your, high-quality Custom Stickers! Your order will ship within 2-4 days of your final artwork approval and ship 2-3 days nationwide! 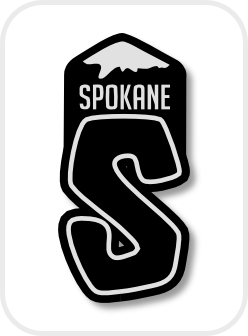 Spokane Stickers makes Any size decal, any shape decal, any color decal, any quantity of decals or sticker! Our self adhesive vinyl stickers are made in America and all made in-house on our state of the art digital printing and die-cutting equipment. Our Printed decals have a minimum rating of a 3 year UV without lamination. If you require extra protection we can add an additional 4 year UV laminated layer over the printed surface to add scuff resistance and extra durability. These decals are also great for use in industrial equipment decal applications to help protect the printed surface from mild chemical spills and can be easy cleaned for long term decal usage. Suitable for any outdoor decal needs on vehicles, tractors, boats, recreational vehicles and more! What our Customer’s Say about our Products & Services! Finally, a place where I can get all my decals, labels, signs and banners under one roof. Your company is where I will buy all my printing needs. You have taken my labels and made them professional, now my lotion bottles look like department store products. Thank you for your great work! and a durable alternative to the old fashioned method of painting window splashes. We have outdoor vinyl lettering that can last over 10 years UV life span and beyond! Vinyl lettering can be used on just about any type of smooth surface to advertise your company event or business on vehicles, signs, banners, store windows, boats, parking signs, real estate signs and more! Free Shipping, Fast 2-4 Day Turnaround Easy Online Ordering. We are still working on Updating our Website and our Videos. Feel free to watch our video, the process of ordering is still essentially the same! Custom Signs, Banners & More!